Many people who develop work-related asthma are not being correctly diagnosed by their GP, with almost two-thirds never making a full recovery because of delays in being referred to a specialist adviser, according to research. 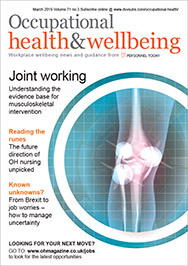 A study in the journal Occupational Medicine has argued that while work-related factors cause one case of asthma in 10 among adults, an audit of patient records suggested GPs do not recognise this in three-quarters of patients. 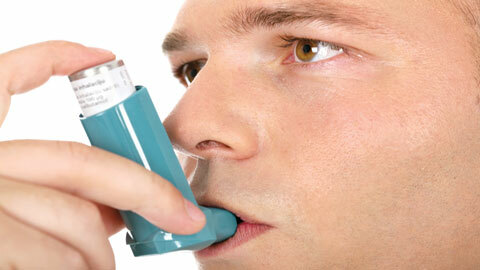 Every year, up to 3,000 people develop asthma because they are exposed to materials at work. It is well recognised that early diagnosis of occupational asthma and avoidance of further exposure can lead to complete recovery. But the Society of Occupational Medicine (SOM) said that failure to diagnose the condition and delays in accessing specialist advice meant two-thirds of sufferers never make a full recovery. Researchers at Birmingham University’s Institute of Occupational and Environmental Medicine conducted an audit of the electronic patient records of working-age people with asthma. Occupation was only recorded in 14% of the cases, and in nearly all cases (98%) GPs failed to record if they had asked screening questions about whether or not asthma symptoms improved at weekends and on holiday. The SOM has, as a result, urged GPs to always question patients who present with respiratory problems about their job, the materials they work with and whether or not their symptoms improve when they are away from work. GPs also need to be aware of those trades that carry particular risks, such as vehicle paint sprayers, bakers, laboratory workers and workers in the chemical industry. The most common causative agents are isocyanates, flour, cutting oils, laboratory animals and insects, enzymes and wood dusts. “Highlighting the prevalence of occupational asthma is absolutely key, as too often work-related factors are overlooked,” argued SOM president Dr Richard Heron. The Royal College of Physicians has produced guidance on the diagnosis, management and prevention of occupational asthma.